Container houses are fairly commonplace given the large surplus of storage containers, the ingenuity of modern architects and the call for a greener living through recycling. 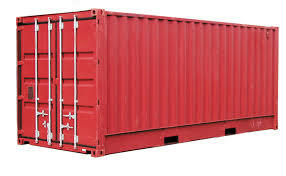 The fixed shape and dimensions of a cargo container is irrelevant given the fact that you can connect and stack containers in endless configurations. If you like the idea of sustainable living and the nostalgic fun of stacking Lego blocks together, then storage container architecture can fulfill both. Disasters happen all the time. We can never prevent disasters, but we can always prepare for it. Unlike tents, storage containers are durable enough to withstand aftershocks and prolonged usage. Deployment is a little bit more complicated, yes; but remember that containers are compatible with most modes of transportation such as trains, trucks, ships and aircraft. Helicopter deployment is also feasible for inaccessible and isolated areas. Container architecture also extends to commercial buildings. For hotels, it has the advantage of easy construction and deployment (as well as re-deployment) without compromising durability. It is also a great way to advertise your business and offer something new and edgy to your customers. The portability offered by cargo containers make them excellent options for opening retail spaces in new territory. If you want to open up a branch of your business, you can “test the waters” by deploying container buildings first. Unexpected events such as renovations or disasters can threaten school operations. Clearly, this is never an option for such institutions. Storage containers can be swiftly converted to fully functional classrooms or school offices that can save time and money. Container classrooms presented a brilliant solution of classroom shortages in third world countries in some parts of Africa. Instead of constructing sheds and shacks, cargo containers can provide a cheaper and more secure alternative as a temporary or even a permanent garage. For ease of access, roll-up doors can be incorporated into the design. The steel body of containers provides added protection to the elements and weather effects with the advantage of being earthquake resistant. Mobile, fully-furnished and self-sufficient clinics made from containers can provide a state with a quick means to react to medical emergencies from epidemics and disasters as well as for humanitarian purposes overseas. When the typhoon Haiyan struck the island of Leyte in the central Philippines, Clinic in a Can (exactly what is says in the tin), was instrumental in providing medical assistance. Remove the top part of a container, put tiles in the interior and valves to control water and voila, you have an instant pool. Besides being transportable, pools made from storage container eliminate digging and hence, are immensely simpler and cheaper to produce. When a building can only be temporarily used, cargo containers shine in their ability to produce sturdy but mobile structures. Some military bodies use container buildings as training facilities and barracks for military trainees. Besides being reusable, deployment is simplified since all you need to do is to leave the container building in the site which eliminates lengthy set-up and pack-up. The protection its steel body and frame provides to the personnel cannot be underestimated.